Mr. President. FORUM-ASIA makes this statement in association with 32 human rights NGOs from Mongolia. We welcome the report of the working group and the important recommendations it contains. We call on the government of Mongolia to pay close attention to the implementation of these important recommendations. 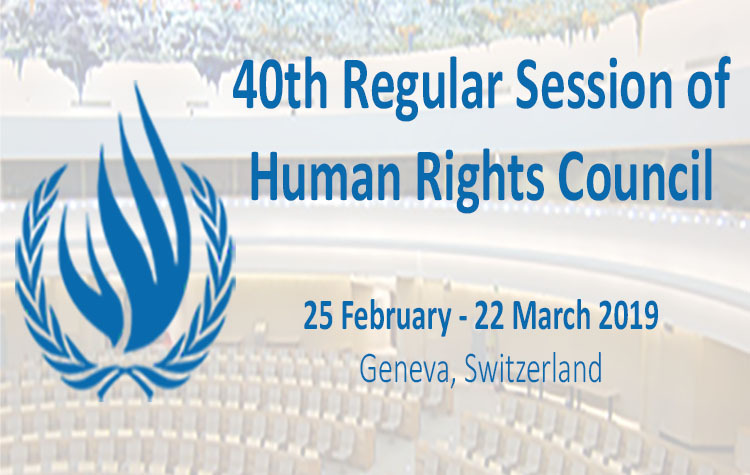 We hope that the next cycle of the UPR will closely scrutinise the implementation of these recommendations and make additional recommendations on emerging human rights issues. We appreciate efforts by the Mongolian Government to consult with civil society organisations on the translation of recommendations and on its decision to accept and implement recommendations. We urge the Government of Mongolia to develop a concrete plan of action for implementation and budget adequate resources in the annual national budget. We further hope that the government will work together with NGOs in an effective way towards the implementation of recommendations. While recognising that the government has made certain efforts towards the promotion and protection of human rights we note that a lot more needs to be done. In particular, we note with concern recent backtracking in protecting freedoms of expression, association and assembly and the weak adherence to non-discrimination. The absence of effective legislative protection for human rights defenders who face attacks, abuse, libel and slander remains an additional concern. This is evidenced by the increasing cancellation of media operating permits when high-ranking public officials are criticised; the severe sentencing of individuals struggling for environmental preservation; the restriction of the right to freedom of peaceful assembly of LGBTI people; and the sentencing of journalists for reporting on serious human rights violations. Environmental degradation continues to be a serious concern. Particular attention needs to be paid to irresponsible mining and the consequent displacement of herder communities who are forced to forego their nomadic culture, tradition and livelihood and join the urban poor. There is an important need to for the government to ensure that it’s polices are human rights-based when it comes to addressing the needs of the poor who make up approximately half of Mongolia’s population. We call on the UN Human Rights Council and the international community to pay close attention to these concerns including through mechanisms such as the UPR. In implementing the UPR recommendations it is essential that the Government of Mongolia ensures that these concerns are addressed and that human rights and freedoms are fully guaranteed and adequate resources are allocated to this end. We further call on the government to cooperate substantively with civil society organisations to find solutions to human rights concerns.